For my birthday this year, my brother Michael got me a very thoughtful gift. 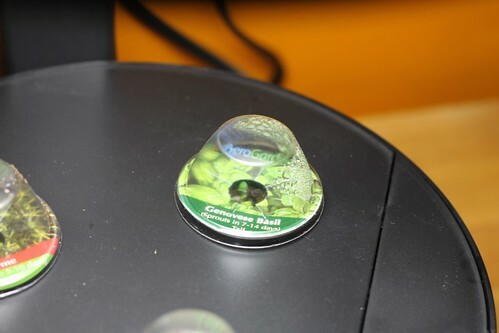 He got me an AeroGarden. 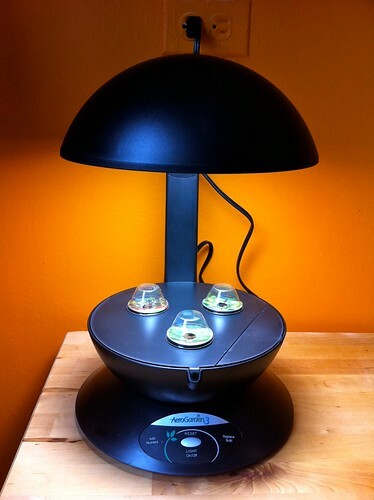 In case you’ve never seen one, an AeroGarden is a black plastic contraption that holds a very strong light. You place little pods in little pre-set holes, fill the base with water, plug the whole thing in and pretty soon those pods are sprouting plants. 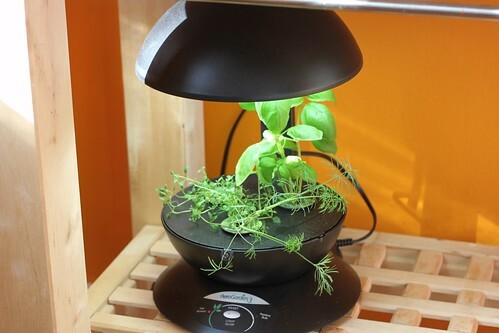 Pretty quickly after plugging in my Aerogarden, I realized that despite the earth-friendliness of growing herbs right there in my kitchen, this was really going to use up a lot of energy. 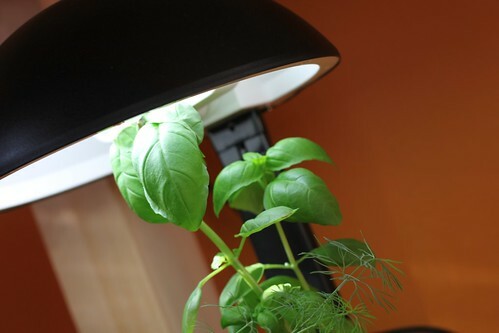 The base hums as the water that you pour in there circulates; and, for at least 12 hours a day, this bright light blasts down on your pods/soon-to-be plants. I thought my power bill might double. With their required nutrient packets (you feed them every two weeks) and their very specific rules (don’t remove the paper tab that labels each herb; don’t lift the plastic cover until the herb outgrows it), I began to think of these herbs more like Gremlins than something you’d find out-of-doors. There was no stopping my Aerogarden! Well, that is until I started using the herbs. I don’t recall the recipe (was it a pesto? a salad? an Artisinal cocktail?) but as soon as I started plucking the basil, the thyme and the dill, things took a rapid turn for the worse. True: I occasionally unplugged the thing to plug in my blender or my food processor and yes, ok, maybe I forgot to plug it back in every now and then. And true: maybe I got lazy about feeding it the required nutrition packs. As in, I only gave it one the whole time I had it. 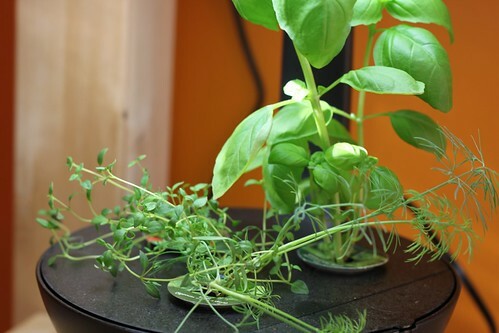 And true: maybe—and this is the most sinful of my Aerogarden sins—maybe I forgot to replenish the water once it was all used up, so my poor little herbs were suffocating in their black plastic coffin. The herbs died a sad tragic death. Much blame was thrown in my direction and yes, I am guilty as charged. But maybe, and this gets very Freudian, maybe subconsciously I wanted the plants to die because the machine was sucking up too much energy anyway? Maybe in killing these plants, I was really saving the earth? Say hello to my rosemary, mint and thyme. That’s how I feel about this herb collection. I dutifully water these herbs every morning and when the mint grows too high, I thoughtfully clip it; now new leaves are sprouting out on the stem. 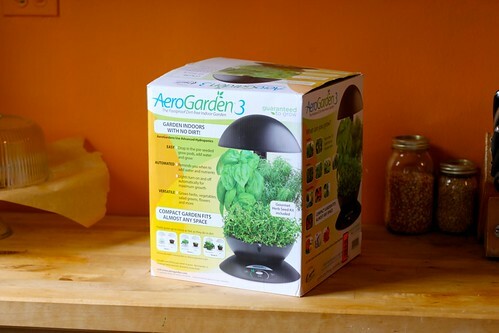 All-in-all, the Aerogarden is a good option if you want fresh herbs and you don’t live somewhere where you can get them easily. It does waste a lot of energy and those nutrition packs are kind of creepy, but if it’s your only option, go for it. 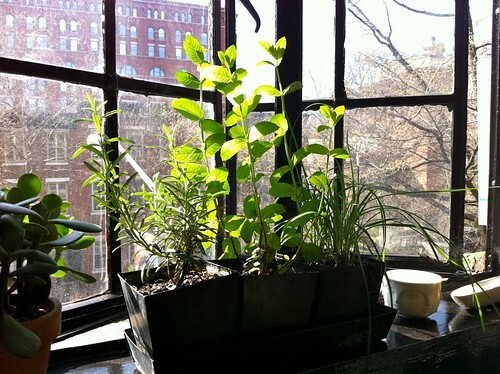 Otherwise, get some herbs for your windowsill and water them with love and care. 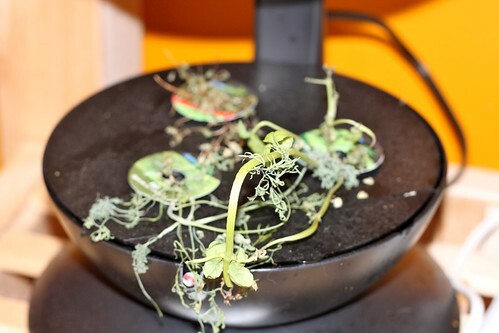 And occasionally send postcards to your Aerogarden sitting neglected in the closet.